At an unveiling event this Veteran’s Day with special guests Texas Gov. 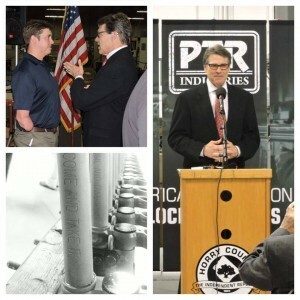 Rick Perry and Special Operations Wounded Warrior Bobby Dove, PTR Industries raised the curtain on its new TXR, a limited Texas-edition rifle. “We had an amazing day of sharing stories, helicopter rides, shooting PTRs and honoring veterans and their families with the help of the Special Operations Wounded Warriors charity foundation,” PTR posted to Facebook. “We also unveiled the PTR “Lone Star” rifle, a limited edition Texas themed rifle that designed by Texans for Texans!” This is their second state-themed rifle following the SCCR for the people of South Carolina. Like many PTR rifles, the TXR is chambered for .308 Winchester since anything less would seem out of place for the Texas-themed gun. It also runs fine with 7.62 NATO ammo. The TXR is based on the same proven Heckler & Koch G3 roller-delayed blowback design that PTR is famous for using with a few flourishes Texans everywhere can appreciate. 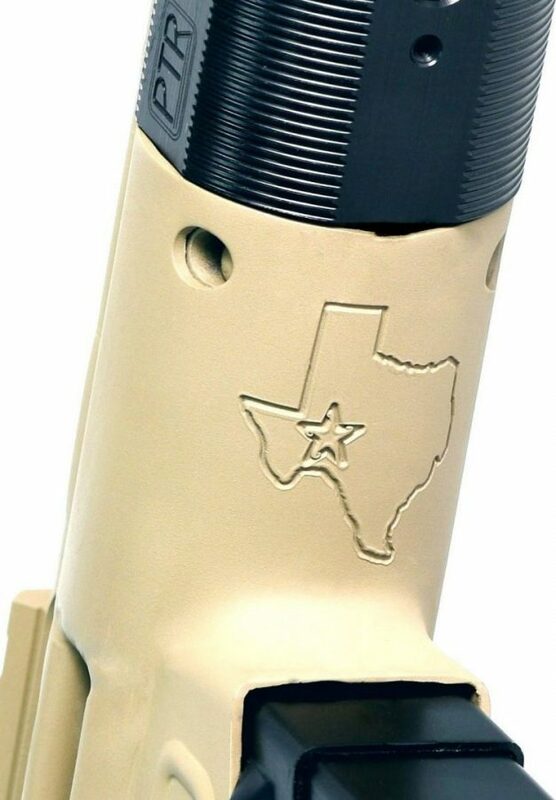 On the receiver behind the handguard is a starred Texas insignia and the barrel reads “Protect Our Border” on one side and “Come And Take It” on the other. There are plenty of other changes that make it stand out from other PTR guns, too. It’s a modern rifle that takes the storied standard into the 21st century with a welded Picatinny rail on the top for optics, a modular, railed aluminum handguard and an AR-style telescoping buttstock. The complete upper, buffer tube and backplate have a tough Cerakote finish color-matched to Magpul’s Flat Dark Earth while the furniture, buffer tube adapter, charging handle, rear sight and muzzle break are black for a nice two-tone look. The rifle uses a polymer trigger housing and grip which is durable and wear-resistant. One original component the TXR comes with are the original-type rotating diopter sight system, which are considered by many to be some of the best iron sights ever made. This is a nice .30-caliber rifle that’s well-suited for all kinds of shooting, whether it’s for home defense, a solid truck gun, a dedicated hunting rifle or just a big-bore plinker. Each TXR has a carbine-length 16-inch match-grade bull barrel and comes standard with a 20-round magazine. It has an MSRP of $1,100 which is a great price for this limited-edition rifle. To find out more and to order a TXR for yourself, head over to the PTR Industries website.